The purpose of the World Day of Prayer for Vocations is to publically fulfill the Lord&apos;s instruction to, "Pray the Lord of the harvest to send laborers into his harvest" (Mt 9:38; Lk 10:2). As a climax to a prayer that is continually offered throughout the Church, it affirms the primacy of faith and grace in all that concerns vocations to the priesthood and to the consecrated life. While appreciating all vocations, the Church concentrates its attention this day on vocations to the ordained ministries (priesthood and diaconate), to the Religious life in all its forms (male and female, contemplative and apostolic), to societies of apostolic life, to secular institutes in their diversity of services and membership, and to the missionary life, in the particular sense of mission "ad gentes". 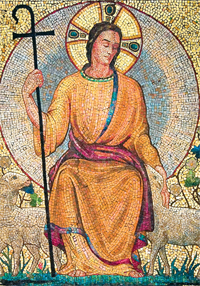 World Day of Prayer will be observed on Sunday, April 22nd, also known as "Good Shepherd Sunday." The purpose of this day is to publically fulfill the Lord&apos;s instruction to, "Pray the Lord of the harvest to send laborers into his harvest" (Mt 9:38; Lk 10:2). Please pray that young men and women hear and respond generously to the Lord&apos;s call to the priesthood, diaconate, religious life, societies of apostolic life or secular institutes. You can find many resources to promote a culture of vocations on the USCCB Vocations webpage (www.usccb.org/vocations)..
Sunday May 19, 2019. More information will be available later.